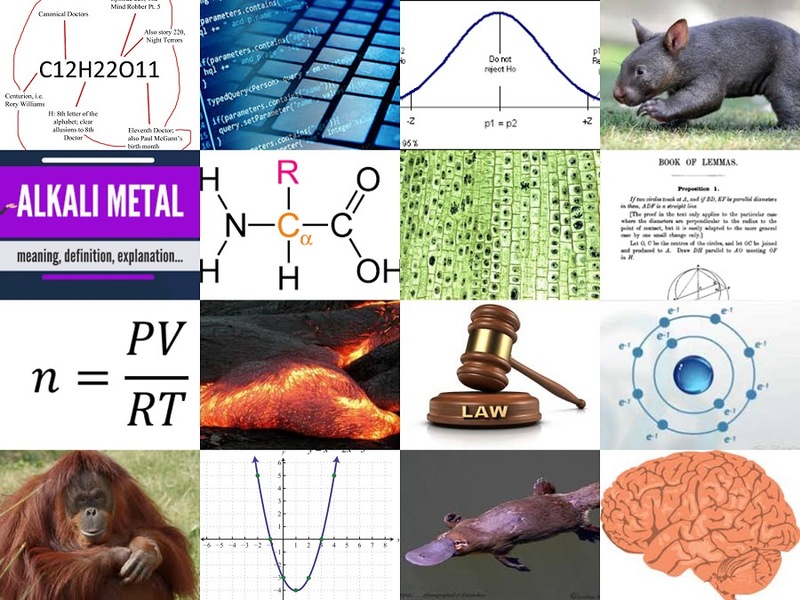 Each of the three hint items has something to do with a single element within the Sporcle Science category. Click the picture which most closely represents the theme these items have in common. We recommend your first Triple Picture Click be labeled "Easier" to familiarize yourself with quiz mechanics. Also try: Elements: Which Letter Is Missing?